Don’t flip your bat. Don’t admire your home run — especially if you’re not usually a home run hitter. Don’t not retaliate if one of your teammates gets hit by a pitch, even on accident. Don’t get near the pitcher’s mound while running back to the dugout. Don’t bunt to break up a no-hitter. Don’t bunt to beat a shift. Don’t steal a base late in a blowout if you’re ahead — or if you’re behind. Don’t wear your cap backwards. Don’t wear a T-shirt during batting practice. Don’t wear eyeblack in the opposing team’s stadium. OK, that last one I made up, just to see if you found it any less plausible than Major League Baseball’s other “unwritten rules.” They’ve sure got a lot ’em. And of late, they’re getting pretty universally mocked — even by MLB itself — for being, well, pretty universally ridiculous. The National Basketball Association, meanwhile, has been having its own discussion about “unwritten rules” lately in the aftermath of the Nuggets-Celtics game last Monday. The NBA, as it turns out, doesn’t have “unwritten rules,” it has “unwritten rule,” which falls along the same lines as MLB’s base-stealing no-nos — don’t blatantly score or stat-chase late in a game where the outcome is decided. 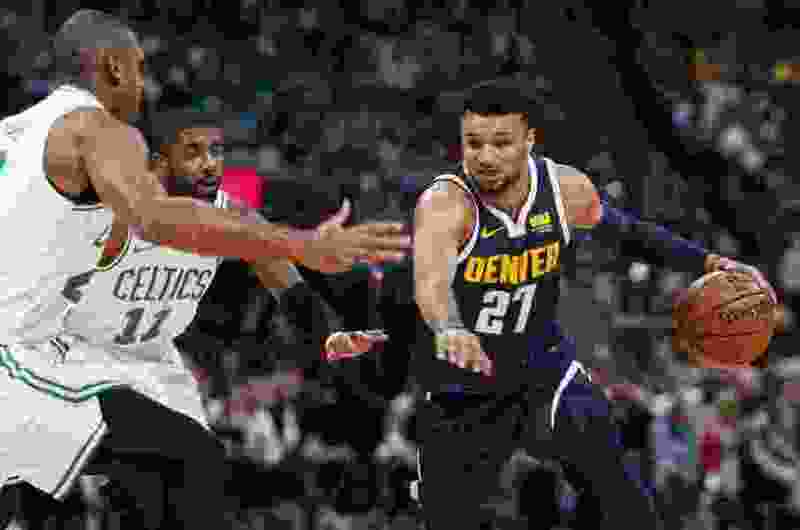 Denver’s Jamal Murray had blistered Boston for 48 points. The Nuggets had the ball in the waning seconds of what would be a 115-107 victory. The Celtics clearly expected their opponents to dribble out the clock. Except that Murray, finding himself thiiiiiiiiiis close to the fabled 50-point plateau, hoisted up a deep 3-pointer just before the triple-zeroes went up. Cue much hand-wringing and much discussion. Players around the NBA get asked now and then what other “unwritten rules” the league has. No one has really come up with anything. Bradley Beal tried, telling NBC Sports Washington back in October, “If you’re playing against someone who has their own signature shoes, you can’t wear them.” Hmmmm, I see … I can generally wear whatever kicks I want, but if I’m facing Klay Thompson and the Warriors, I have to leave my Antas in the locker room? I don’t really understand. Actually, I don’t really understand why anyone would EVER wear Antas unless they themselves were getting paid by the Chinese sneaker manufacturer. So that one’s disqualified; late scoring and/or stat-chasing is it. And there’s a lot of it. With his Pacers up 15 in the final seconds vs. Raptors last year, an unguarded Lance Stephenson casually dribbled downcourt and, finding no one around him, made a layup. The ensuing “inbound pass” was actually a Toronto player chucking the ball at him. Thompson’s teammates, meanwhile, seem to be involved in many such scenarios. With the Warriors up late vs. the Cavs in Game 1 of the Finals last year, Shaun Livingston took a shot rather than run out the clock, and got an elbow from the Cavs’ Tristan Thompson. In a game the prior season, against the Wizards, Golden State coach Steve Kerr kept Steph Curry in long after it was necessary so that he could get to 40 points. Similarly, Draymond Green was left in to try and accumulate a triple-double. The situation finally boiled over when JaVale McGee hoisted a 3-pointer while up 22 instead of incurring the shot-clock penalty in the waning seconds. He got shoved by Brandon Jennings. Perhaps the most egregious example of stat-chasing actually involves the hometown Utah Jazz. On March 16, 2003, they were 6.1 seconds away from falling 120-95 in Cleveland. All the Cavs had to do was inbound the ball and dribble out the clock. Not so fast, though. Ricky Davis, being fronted on the play by Utah’s DeShawn Stevenson, broke toward his own basket, seemingly to get open, catch the ball, and run the clock. Nope. Davis famously sent the ball off the underside of his own rim and grabbed it, having figured out he was a rebound shy of a triple-double. Stevenson gave him a good two-handed shove. Thing is, Davis' play didn’t warrant violence — it deserved scorn and mockery. Because he sent the ball toward his own basket, it wasn’t a shot attempt, and it wasn’t a rebound. Davis revealed himself to be an idiot, and that should have been punishment enough. NBA players say ad nauseam that they need to play ’til the final buzzer, that they need to put together a full 48 minutes — not 47 minutes and 54 seconds. So, please — let it go. That kind of stuff really isn’t worth getting upset about. If you find you do, well … maybe you’re in the wrong sport.